An ex-smoker forced to give-up work because of a chronic lung condition has spoken of his experience testing a “life-changing” new gadget, unveiled by scientists in Leicester. Martin Chesney has had Chronic Obstructive Pulmonary Disease (COPD) for more than five years. The condition became so debilitating that he agreed to take part in a trial, testing a pioneering device which alerts people with COPD that they are about to suffer a life-limiting attack. The pioneering device is a very simple to use urine test that works in a similar way to a home pregnancy test and has been developed by UK company Mologic. The patient study was carried out by the test developers and the NIHR Leicester Biomedical Research Centre – a partnership betweeen Leicester’s Hospitals, the University of Leicester and Loughborough University. Once it becomes available the simple device, , could save the NHS at least £40 million a year by preventing unnecessary hospital admissions and the over prescribing of drugs to treat suspected attacks. The condition makes it hard to breathe because of narrowing airways and damage to the lungs. In the UK, three million people are living with COPD and each year the condition causes 115,000 emergency admissions to hospital and 24,000 deaths. 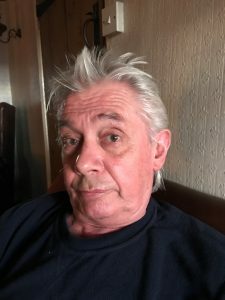 Mr Chesney, of Edmondthorpe, Leicestershire, who gave up his maintenance fitter and machinist job early shortly after his diagnosis in 2012, usually suffers two lung attacks a year. Earlier this year he tested the kit for 30 days, he said: “It is a benefit no-end as you are able to predict a possible attack, which allows you to take medicine before it becomes nasty. The project was funded by Innovate UK which awarded the team £2 million through the Small Business Research Initiative (SBRI). The simple test, which can be carried out at home, has already passed the first stage of the development process and could be adopted for use by the NHS within four-to-five years. Professor Christopher Brightling, who is a NIHR Senior Research Fellow and Clinical Professor in Respiratory Medicine at the University of Leicester, led the clinical study at the NIHR Leicester Biomedical Research Centre, based at the Glenfield Hospital. Professor Brightling said: “This simple urine test will help someone with COPD to determine whether the onset of more symptoms really is the beginning of a severe lung attack, or simply a variation in their background symptoms which will get better on their own. This will help to make better treatment decisions and could hugely improve lives, especially as severe lung attacks can be devastating. 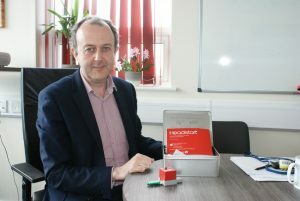 Chief Scientific Officer and Mologic Co-Founder, Professor Paul Davis, who was also behind the original Clear Blue home pregnancy test, said: “People with COPD have vulnerable lungs so we wanted to find a way to help them monitor and control their condition better. The genius of this test is it’s so simple to use and extremely cost effective. The fact it can be used at home means we’re helping to empower people to manage their own health. The most important cause of COPD is smoking, but past exposures to fumes, chemicals and dust at work can also contribute to causes of the condition. Millions of pounds have already been spent on establishing the basic principles of urine testing for relevant disease biomarkers. This was also made possible from close collaboration with the GSK Respiratory R&D Clinical Discovery Team (including access to the ECLIPSE cohort sample bank) and several NHS clinicians and scientists. Other signs and symptoms of COPD may include shortness of breath, especially during physical activities, wheezing, chest tightness and a chronic cough that may produce mucus.